Sig Sauer P938 Legion 7rd magazine. The floor plate is marked with the Legion logo. 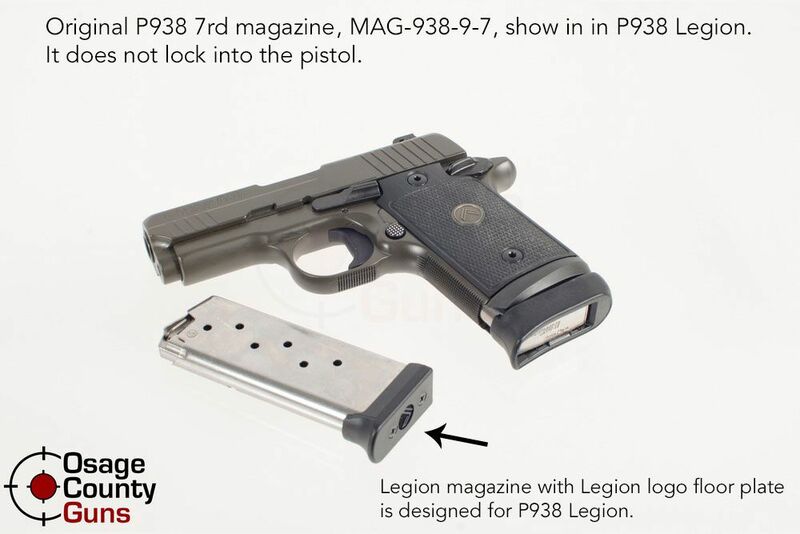 Sig's P938 Legion 7rd magazine has a newly designed floor plate / base contoured to insert into the P938 Legion.